The city of London, the subject of the Folger Shakespeare Library’s exhibition in Washington, D.C., Open City: London, 1500-1700, is mentioned in the Shakespeare canon more than five dozen times — but always in history plays, most of which are set in the 14th and 15th centuries. So it’s no surprise that the Folger’s fine exhibition doesn’t spend time trying to connect the revered William of Stratford-upon-Avon to the London described by Shakespeare. While exploring such links between the Bard and the settings of his plays might be interesting (one wonders why he never mentions Stratford), Open City: London, 1500-1700 is not about how Shakespeare depicted London and environs such as Westminster, Smithfield, and Cheapside in works such as Henry IV, Henry V, Richard II, and Richard III, but rather how political, religious and economic forces, as well as plagues and the 1666 Great Fire, changed the city over the span of two centuries. If you’re in the D.C. area, I highly recommend seeing the exhibition, which runs through September 30. Open City: London, 1500-1700 covers three main areas of London life: the church, the theater and the market. Highlights include panoramic period maps of London remarkable in their detail, and a 1616 diptych (hinged panels that the viewer can open) of oil paintings of St. Paul’s Cathedral. Also on display are rare documents and books, including a 1609 edition of Shakespeare’s Pericles, and a 1689 printing of John Locke’s “A Letter Concerning Toleration.” You’ll also see the coat of arms of all companies and guilds doing business in London, circa 1596. 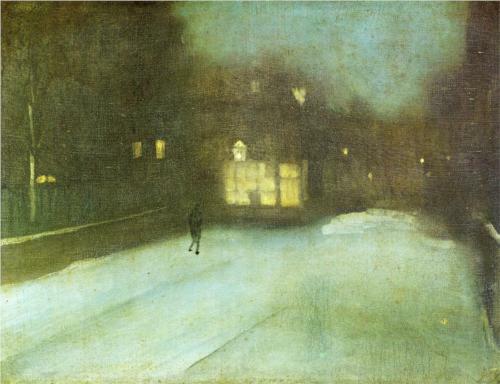 If you’d like to view more London of the past, a nice compliment to the Folger exhibition is Whistler’s Neighborhood: Impressions of a Changing London, at the nearby Freer Gallery. The Freer exhibition, which also runs through September 30, features watercolors and small oil paintings by James McNeil Whistler of the Chelsea neighborhood where he lived during the 1880s. And if that’s not enough London for you, you may just want to go there!